For over 85 years, WILA has been developing and manufacturing high-end press brake clamping systems and tools for press brake manufacturers and users. Our aim is to continuously develop and produce tools which improve productivity and quality in the bending process. To realize this, we collaborate with the main press brake manufacturers in the world and continuously invest in the latest bending technology. The end result can be witnessed in the high quality of our products. This quality can also be witnessed in all facets of our organization which continuously invests in the latest bending and manufacturing technology. 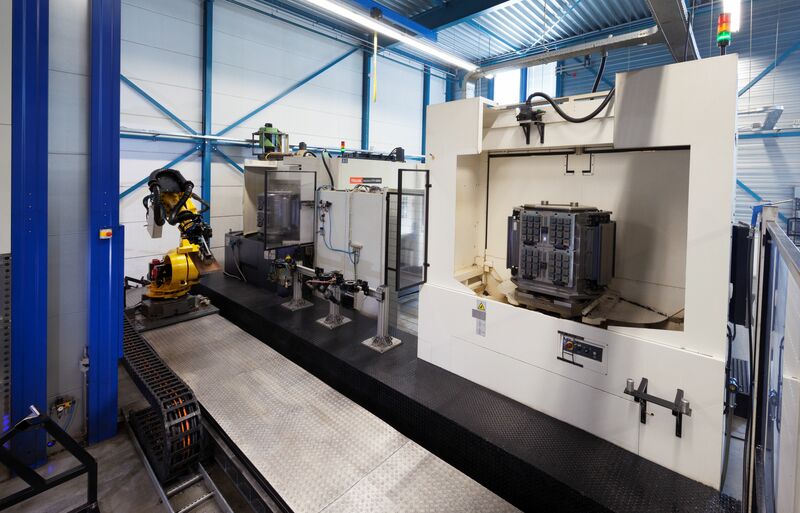 WILA employs 350 people and has its own R&D department, production facilities and a worldwide sales network in the Netherlands, United States and China. WILA's and American Style Press Brake Tooling guarantee an extreme level of accuracy. The combination of or American Style Tooling and Tool Holders (Clamping, Crowning & Bottom Tool Holders) provide the most accurate finished parts to eliminate perfectly the Tx- and Ty tolerances. WILA's and American Style Tooling provides an exceptionally long life-span. These tooling systems are CNC-Deephardened® to 56-60 HRC on all surfaces that engage the material and provide maximum wear resistance and long term accuracy retention. The Universal Press Brake concept means WILA's bending technology can be implemented with all press brakes. It is possible to configure your press brake tooling system and match it perfectly to the material type, application, series size and change frequency. WILA's award-winning technology maximizes speed and efficiency when changing all punches and dies, including heavy press brake tools. It also meets all needs in terms of speed, ergonomics and safety. WILA specializes in maximizing safety for press brake operators. Our passion for safety has resulted in ground-breaking safety innovations for press brakes. For example, our and American Style Punches (28 pounds) feature WILA's award-winning Safety-Click® mechanism as standard.